» 4 String Bass vs. 5 String Bass — Which Guitar to Choose and Why? 4 String Bass vs. 5 String Bass — Which Guitar to Choose and Why? The purpose of a bass guitar is to add flavor via sound to the rhythm in music genres; basically, all music genres have a bass line of some sort. An experienced bass guitar layer can help add harmony to music, while also adding moderate solos that are commonly played by electric bass guitars. If you’re someone who is on the fence about learning how to play bass guitar, know that bass guitars are always needed in musical ensembles; the bass guitar is a straight forward instrument to learn that’s relatively simple and a lot of fun to learn! Throughout this guide, we will talk to about all of the essentials that you should know when choosing a bass guitar. You will learn about all of the parts that go into an electric bass guitar, the types of electronics that go into it, the different body types, different types of pickups, and everything else you need to know! Bass guitars, as many other guitars, come in a variety of quality, cosmetic appearances, and price ranges; before you go and start shopping around for a guitar, you need to figure out how much you’re looking to spend on your guitar. If you’re a beginner that is looking to pursue your passion of learning how to play bass, there are a great handful of affordable “beginners” bass guitar available. These types of bass guitars do tend to have lower quality electronics and hardware, but that doesn’t make the guitar the bass guitar any less payable than a high end guitar, and will serve you well through your beginning stages of performing on a new instrument. 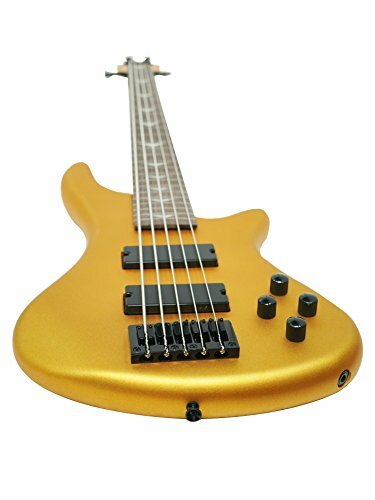 However, if you are more of an experienced bass guitar, you are going to want to get yourself up with a better quality bass guitar that has a better set of electronics, richer tone woods, and high quality hardware. This high quality bass guitar will not only sound better in your ears, but it will also feel better in your hands, and last you over a longer period of time. In order for you to be able to pick out a quality guitar, it’s very important for you to have a solid understanding of the basic parts of a bass guitar before you start going to shop around. You need to understand how the instrument is designed, how it’s built, and what the different parts of a bass guitar are called. Let’s start off with the neck of the bass guitar! The neck of a bass guitar is just like the neck of other guitars; the neck of a guitar holds the head stock and the fret board which all connect to the body of the bass guitar. The headstock is located at the top of the neck of the guitar and is the part where the tuning pegs/keys are located. The tuning pegs/keys are what adjust the tension on each string, which changes the pitch of each string. The strings are placed down the neck and held in by a nut, which is a strip of hard plastic at the top of the fret board where the head stock attaches to the rest of the neck. Located inside of the neck of the guitar, there is a metal truss rod; the purpose of this rod is to help prevent the neck from twisting or breaking off of the body. Bass guitar strings place a lot of tension on the neck because the strings are thicker than regular guitar strings. By getting a professional to adjust your truss rod, you customize your string height or even straighten out your neck if it becomes twisted or bowed. The fret board (also called the finger board) is a thin piece of wood that’s typically rose wood, ebony, or maple. The best types of fret boards are ones that are hard, smooth, and dense, as these are the types of fret boards that have a slow wear to them. Fret boards have normally arched from side to side, which is identified as the radius; some bass guitars have more of a flat fret board, while other bass guitar fret boards will have a ten-inch radius. The shorter the radius is, the larger the arch of the fret board is. The fret board is laid with frets that are thin pieces of metal. These frets divide the neck into half step increments, which determine where each note is played along the neck. There are some electric bass guitars that are fretless, which allow users to play a smoother glissando; however, fretless bass guitars require a lot of hard work, skill, and experience to be able to fluently play. Most bass guitars have bolt on necks, which means that the neck of the guitar is bolted on to the body of the guitar. The bolts keep the neck stable, which means that the neck isn’t going to constantly shift up or down. Having a very solid and tight connection between the body of the guitar and the neck is absolutely essential; a solid connection provides the guitar with stability, helps to enhance the sustain on the instrument, and helps to ensure that the vibration of the string transfers correctly. Some bass guitars have set necks, which means that the neck of the guitar is attached to the body with a dove tail joint, rather than having a bolted-on neck. Having a guitar with a set neck helps to ensure better sustain and resonance on the guitar; the main problem with owning a bass guitar with a set neck is that adjusting the neck can be extremely difficult. Thru-body necks are found on luxury bass guitars, which as bass guitars that cost a small fortune. Thru-body necks is a type of neck that is one continuous piece through the body of the guitar; the wings are attached to each side of the guide, from the lower parts and the upper parts of the body; with a thru-body neck, the body can sense the vibration on itself, which means that sustain and response much better than other necks. A scale length is the distance between the nut and the bridge on the guitar, where the strings are attached at the end of the body of the guitar; the most common scale length is 34 inches. A long scale bass guitar neck has a 35-inch scale; the longer scale provides users with a few more frets to play on, which is more often found with five and six string bass guitars, as it helps to keep tension on the extra lower strings. Solid body bass guitars are the most popular type of bass guitar; these bodies are made with solid pieces of wood that transfer vibrations well, such as mahogany, swamp ash, maple, or alder. When going with inexpensive bass guitars, the bodies of these instruments are often paired with laminated pressed woods, softer woods, or wood piles. For really cheap bass guitars, there are even plastic guitar bodies. Hollow body bass guitars, have a hollow body like an acoustic guitar but use the same magnetic pick ups that solid body bass guitars use. These types of guitars are more commonly sound. Hollow body bass guitars are much lighter than most other bass guitars, but they also typically have a more limited volume production, as they feed back more sound than solid body basses do. There are semi-hollow body bass guitars that have a solid center block and have hollow outer halves of the body; these are less prone to feed back but are harder to find on the market. There is also the acoustic-electric hollow body bass guitar, which is a guitar that was built like an acoustic guitar but has a piezo pickup installed in it, which allows the bass guitar to be amplified. The piezo pick up is located right under the bridge, while there is also an onboard pre-amplifier provides the bass guitar to be tonally adjusted while the bass guitar is hooked up to an amplification system. Pick ups are electromagnetics devices that capture the sound that is produced by the body of the bass guitar and by the vibrating strings and convert these vibrations into an electronic signal. The typical bass guitar has a set of two pick ups, which helps to provide the guitar with an even better range in tone. When located near the fret board, pick ups have a smoother and lower sound, while pick ups that are located near the bridge have a higher, edgier tone. There are two types of pick ups that are commonly used on bass guitars; these are single coil pick ups and humbucker pick ups. Single coil pick ups are the most simple type of pick up; it has only one coil and one magnet, which produces a focused and bright sound. The main down side of a single coil pick up is that they can sometimes be a bit noisy and interrupt your guitar’s vibe. Humbucker pick ups were designed to cancel out the noise that the single coil pick ups produce, but these types of pick ups also have a large, a more round sound; the main complaint that a lot of people have about the humbucker pick ups is that at higher volumes, the sound becomes muddy. The bridges of the bass guitar are one of the most important pieces of the instrument; the vibrations from the strings are transmitted to the body of the guitar, which creates tone and resonance that the pick ups receive and amplify; most pick ups are located under the bridge of a guitar. There are several notches placed into the bridge, which is called the bridge saddle; this is where the strings of the guitar sit on the bridge and can be moved up and down to adjust the action of the bridge, or moved forwards and backward in order to adjust the intonation of the guitar. With a through bridge, the strings of the guitar are threaded over the saddles and through the back of the bridge. On the other hand, we have a string through body, which is where the strings are fed through the bass guitar’s body and over top of the saddles. A bridge and tail piece combo threads the strings through a tail piece that is separate from the saddles. Your typical bass guitar has a fretted neck, which means that the guitar has thin metal frets that divide the finger board up into half step increments; the frets on the finger board make it easy to figure out where to place your hands to place a note or a chord. Fretless bass guitars have a smooth neck that is similar to a violin; in order to properly play the fretless bass guitar, you are going to need to rely on muscle memory and a well-trained ear, as you have to hit the right spots properly in order to get notes with proper intonation. Playing a fretless guitar is not something that is for beginning musicians. Alder is a wood that’s most commonly used on bass guitar bodies; it creates an incredibly balanced tone with a full and clear sound. Again this is also another popular wood that bass guitars are made from, as it’s pretty cheap, but also provides a balanced, rich sound that puts a small emphasis on a lower and middle range. There are several different species of Ash guitar that are used on bass guitar bodies that all have subtle differences when compared to each other. In general, Ash produces a bright and full sound, that’s very comparable to ash. Bass wood is commonly used on inexpensive guitars, as it is a softer wood that doesn’t send as much resonation as other tone woods do. Bass wood is a favorite tone wood to use if you are looking for a guitar that will pair well with fast and complex playing styles and techniques. Mahogany is another popular tone wood for bass guitars, as it produces a soft and warm tone that creates a long sustain and puts a rich emphasis on low and mid range tones. However, Mahogany will feel heavier on your shoulders, because it’s a more dense wood than ash is. Maple is a wood that’s comparable to mahogany, as it also creates a sustained sound just like mahogany does; on the other hand, maple produces a clear and bright tone that’s perfect for recording with. When we’re talking passive and active electronics, these terms refer to the preamp circuitry of the bass guitar; the preamp boosts the out put of the pickup and provides users with controls to shape the tone. Active bass guitars need power that is usually provided by a battery that’s on board the system. An active preamp system provides a strong ability to control the shape of tone provided by the output. More often than not, an active bass guitar has separate EQ controls that are divided into low, mid, and high-frequency cut controls. There are also contour switches, which allow users to reshape the profile of the EQ; some active bass controls allow users to change the wiring of your pickups while you’re playing. On the other hand, we have passive preamp systems, that operate without any type of power source and have a lot fewer controls than an active preamp system does. For controls on a passive preamp, there is typically a tone knob, and a volume knob, maybe a blend control if there are two pickups. Passive bass guitars are nice, because you don’t have to constantly worry about a battery dying while you’re in the middle of playing a song or a set. Passive bass are also very easy to operate, which is nice if you’re not too experienced with technology. So, the real question is, is which is better: four string bass guitars or five string bass guitars? Most bass guitars have four strings and if you’re a beginning guitarist, it’s highly recommended that you start off with a four string bass guitar. Four string bass guitars are 100% adequate for most, if not all, musical styles; the neck on four string guitars are much smaller and thinner than those on five string guitars and six string guitars, which makes them easier to play and learn on. Five string bass guitars have one extra string, which adds a lower B string onto the instrument’s range. Compared to the four string bass guitar, the five string guitar has a wider neck, which makes it more difficult to play. 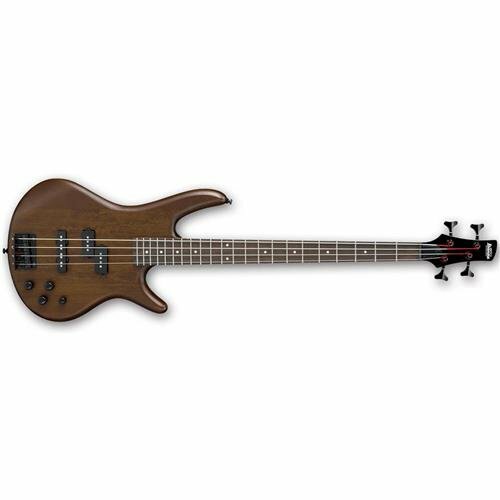 Five string bass guitar pairs well with jazz, rock, metal, and heavy metal music genres. 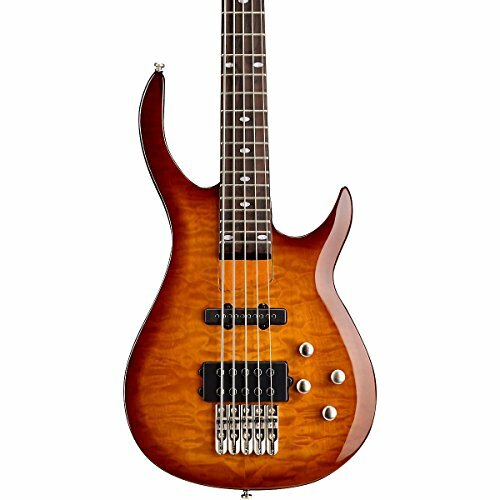 Which bass guitar is the best one for me? 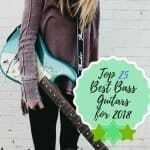 Buy the best bass guitar that you can afford, as a good bass guitar will make learning so much easier; you also won’t outgrow the instrument easily. If you’re a beginner, go with a four string bass guitar. They’re a lot easier to play, which means you’ll have a lot less frustrating learning process. Choose a bass guitar that is fretted, because playing a fretless bass guitar is incredibly challenging and isn’t suggested if you’re a beginner. Choose a bass guitar that is cosmetically appealing to you; you want the shape and the color to appeal to you. While this isn’t going to make you sound any better, a bass guitar that you think is cool looking can really help to motivate you playing and practice more. If you are shopping for a child or young teen or you are someone who has a smaller stature or smaller hands, shop around for a short scale bass guitar. Go for a bass guitar that has simple controls so that you can focus on what your hands are doing with the strings, rather than messing around with the control knobs. Playing a four string bass guitar or playing a five string bass guitar does not prove to anyone that you are any more or less talented musician just because of the instrument you’re playing. Some pieces of music are actually harder to play on four string because you’ve got to move your hand up and down the fret board more. Each guitar has its own challenges and rewards, you’ve just got to decide on which guitar you feel would fit your personal style and taste better. Good luck on your bass guitar journey!